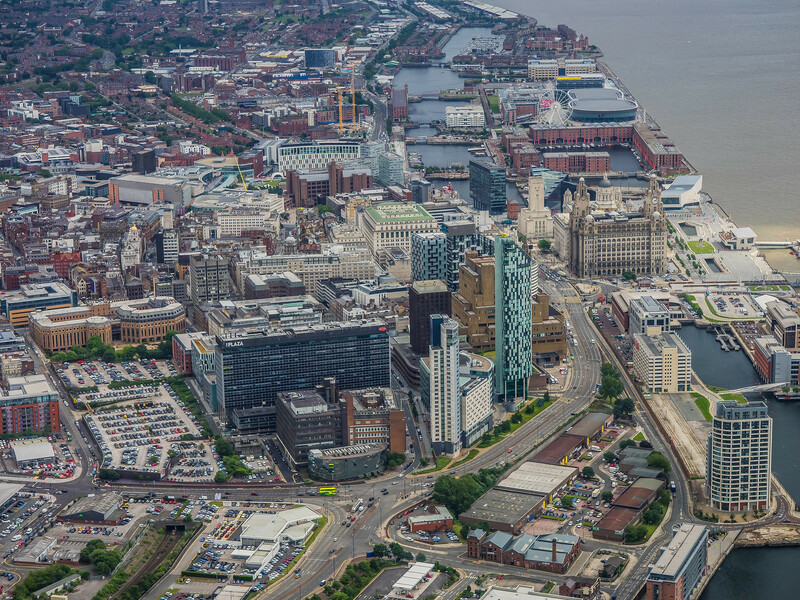 A series of brilliant aerial pictures of Liverpool by French photographer Benjamin Ballande. In the lower third of the picture above you will see an office block called The Plaza, in front of that is Lancaster House, a 1930's building built for the GPO. I currently work in the crappy 1960's concrete extension with a view of the car park.